In part two of this series, we examined the impact of the heavy losses sustained by the command structure of the Army of the Potomac on its ability to bring the Army of Northern Virginia to battle again before it could cross the rain-swollen Potomac River after the Battle of Gettysburg. In this part, we will examine the operating orders and operating environment that greatly hindered Meade and kept him tied to Gettysburg for three days after the end of the battle. At all times pertinent, Meade was under orders to ensure that his army remained interposed between Lee’s army and Washington, D.C. This mandate severely limited Meade’s ability to operate. Lee’s army began its retreat late on the day on July 4, and it had largely abandoned the battlefield by the afternoon of July 5. However, it was unclear whether Lee intended to retreat across the Potomac River and to the safety of Virginia, or whether he intended to find a strong defensive position in the mountains of central Pennsylvania, hole up there, and wait for Meade to attack him on ground of Lee’s own choosing. Lee’s intentions did not become obvious until the failed attempt of Brig. Gen. John Buford’s First Cavalry Division to seize and hold the Potomac River crossings at Williamsport, Maryland on July 6 that Lee intended to use to get across the flooded river. Buford’s report that all of the Army of Northern Virginia’s wagons and elements of its infantry were present in Williamsport that night finally provided Meade with the proof he needed to set the Army of the Potomac in motion since he no longer had to worry about Lee holing up in the mountains to the west of Gettysburg or his trying to take Washington. However, Lee’s retreat provided a different set of problems for Meade. Still constrained by the orders to keep his army interposed between Lee and Washington, Meade had to use a longer route to advance on Lee. Rather than simply following Lee along the same roads that the Southern army had used, Meade had to follow along the eastern spine of South Mountain, keeping Washington covered at all times. This added distance—and time—to the route of march and prevented the Army of the Potomac from arriving at Williamsport as quickly as it otherwise might have. Mix in the head start enjoyed by the Army of Northern Virginia and the flanking route forced upon Meade meant that not only would Lee enjoy the initiative, it also meant that Lee and his engineers would have plenty of time to choose and develop a strong defensive position along the northern bank of the Potomac River. Once Meade was persuaded that Lee had retreated to the Potomac River crossings on the night of July 6, he set the army in motion. And once it began moving the Army of the Potomac moved with alacrity. As just one example, by late afternoon on July 8, one of the divisions of the XI Corps was in position to reinforce Buford’s fight against J.E.B. Stuart’s Confederate at cavalry at Boonsboro, Maryland, having covered 42 miles to get there. By the 10th, nearly the entire army was in position. It simply is not true to say that the Army of the Potomac did not move promptly once Meade set it in motion. The fact that it did so is nothing short of remarkable given the logistical constraints it faced. It began raining heavily late in the day on July 3, and did not end for a number of days. It must be remembered that there were no paved roads in those days, so the heavy roads turned most dirt roads into bottomless seas of sticky muck that greatly inhibited movement, prompting a Massachusetts soldier to describe the roads as “one immense hogwallow the entire distance.” The mud was between ankle and knee deep in most places, meaning that each step was exhausting for the blueclad soldiers, whose woolen trousers, woolen socks, and brogans became sodden and heavy with the thick, gooey mud that they had to slog through. “The mud,” grumbled one, “in some places seems bottomless and ankle deep at best and tenacious as glue.” If the going was this difficult for men marching on foot, imagine how difficult the passage was for wagons and artillery, which bogged down completely in the thick mire. The one good thing about the route of march forced upon the Army of the Potomac by Meade’s operating orders was that much of the Army of the Potomac utilized the macadamized National Road, one of the few hard-surface all-weather roads in the area. Named for their inventor, the Scottish civil engineer John Loudon McAdam, these roads consisted of compressed layers of gravel set on a cement bed with limestone shoulders and with drainage ditches on either side of the road. Ditches at the sides of the road provided necessary drainage. While hardened and much less prone to turning into mud bogs, they had rough, abrasive surfaces that played havoc on horseshoes and brogans. However, the macadamized National Road permitted the Army of the Potomac’s rolling stock, in particular, to move much more quickly than it otherwise might have, thereby mitigating some of the time factor involved. The National Road also allowed the weary Northern infantry to escape from the bottomless mud pits that the rest of the road network had become. Thus, the combination of Meade’s operational orders—having to keep his army interposed between the Army of Northern Virginia and Washington, D.C. at all times—and not knowing what the enemy’s intentions were for the first couple of days, keeping him pinned in Gettysburg until Lee’s intentions could be determined with certainty, delayed his movement and then forced him to employ a longer route of march, severely limiting his ability to move directly on the Potomac River crossings. Then, the terrible weather conditions and the major logistical challenges that the atrocious conditions caused created nearly insurmountable hurdles. That the disparate elements of the Army of the Potomac moved as quickly and as efficiently as they did was a remarkable accomplishment that is too often overlooked, and is a credit to Meade’s staff for managing this operation. Finally, we must examine the logistical situation. The Army of the Potomac had used up much of its ammunition and supplies at Gettysburg. The limbers of its artillery units needed to be refilled, and so did the cartridge boxes of the infantry. Meade’s logistical chain needed time to re-supply the army. That practical necessity also hindered Meade’s decision-making freedom. The Army of Northern Virginia, by contrast, had been receiving supplies around the clock at Williamsport. A small ferry called Lemon’s Ferry carried Lee’s wagons across the Potomac River one at a time and returned with crates of supplies. The ferry ran twenty-four hours a day, and each trip brought back more ammunition and other supplies. By the time that the Army of the Potomac was in position to attack, Lee’s Army of Northern Virginia had been fully resupplied. 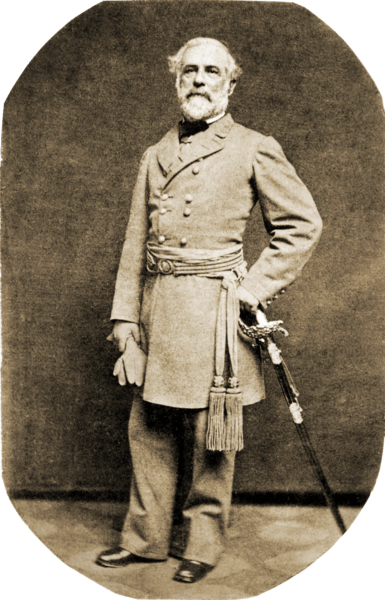 In part four of this series, we will examine the question of whether the Army of the Potomac should have launched an attack on Lee’s positions around Williamsport sooner than its general advance on July 14, which found the trenches empty and Lee’s army gone. This entry was posted in Armies, Battlefields & Historic Places, Battles, Campaigns, Cavalry, Civil War Events, Leadership--Confederate, Leadership--Federal, Memory, Politics and tagged Benjamin Wade, Boonsboro, George Meade, Gettysburg Campaign, JEB Stuart, John Buford, John McAdam, Joint Committee on the Conduct of the War, Lemon's Ferry, National Road, Potomac River, Robert E. Lee, VI Corps, Williamsport, XI Corps. Bookmark the permalink. Excellent analysis, Eric. Commentators today often write about pursuits as if the 19c were WWII. I’d add that the only truly devastating Napoleonic pursuits (since they’re the model) were after Jena-Auerstadt and after Waterloo. Those after Friedland and Wagram added to the damage the French had already done, which aggregated to convince the Russians and Austrians to make peace, but the pursuits did not destroy their armies. Same after Austerlitz, to say nothing of 1813. Contemporaries and some modern commentators alike too often take extreme outcomes as the norm, rather than attempting to assess representativeness or parse the reasons for a specific outcome.